Personally, I don’t drink coffee. I used to drink colas, regular then on to diet but we know that they aren’t good for you for numerous reasons. I’ve always liked tea, but in the past 12 years tea has really been my beverage of choice; black, red, green, oolong, hibiscus, herbal – I like them all, even the delicate authentic white teas from China. Low in caffeine, the tender white buds are “hand-picked” just two days a year. Since the white tea is the least processed of the teas it offers up more polyphenols, or in other words antioxidants. 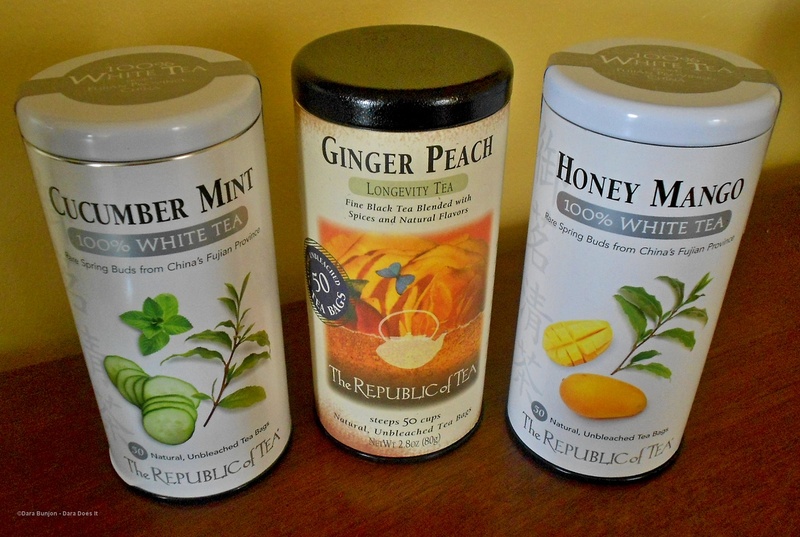 At the Summer Fancy Food Show I had an advanced taste of two of the new The Republic of Tea selections on their white tea blends: Honey Mango and Cucumber Mint. 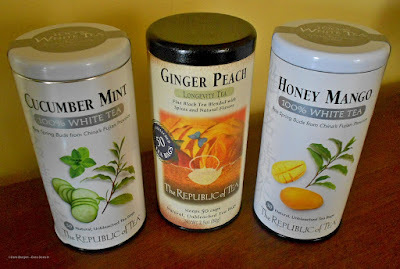 The show had me on food and flavor overload, so the kind folks of The Republic Tea recently sent canisters of these two white teas to brew. Thirty chefs, thirty farms: Farm to Chef is back.